The first trailer of Onir’s I Am is out. It stars Juhi Chawla, Manisha Koirala, Nandita Das, Rahul Bose, Sanjay Suri, Purab Kohli, Abhimanyu Singh, Arjun Mathur, Shernaz Patel, Radhika Apte, Anurag Basu and Anurag Kashyap. To quote from the official release, I AM is about people with fractured lives held together by unbroken dreams. Click on the play button to watch the trailer.. I AM is about issues and dilemmas that bruise the modern Indian society. Unraveling and exploring these tribulations, the film unfolds many a tale of individuals struggling to find their identity, and uphold their dignity in a world that is callous, cold and unsympathetic. Shot in four different cities across India, I AM is a fusion of stories where the protagonists share a common dream – a desire to regain their lives, to regain an identity which has been taken away from them. I AM AFIA is the story of a single woman who feels her identity will be made whole through the singularly feminine experience of motherhood. Unable to trust or even wait for a man, she is frustrated by a society that demands a “husband” to have a child. Thus her search is defined – does motherhood necessarily require the burden of a man? 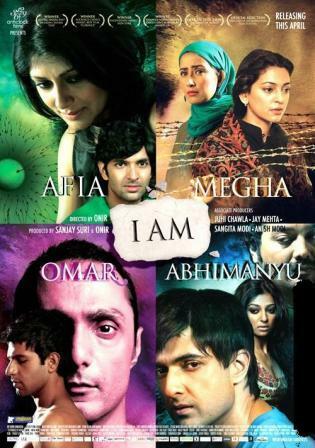 I AM MEGHA is a story of two friends – a Kashmiri Pandit woman and a Muslim woman – separated by conflict. Against the backdrop of the ethnic cleansing in Kashmir in early 90’s, this story tells of loss of home and identity. If your own home rejects you, where do you go and where are you “from”? I AM ABHIMANYU is the story of a broken man, with a proud mask. Abhimanyu is trapped by the demons of his past, a past of sexual abuse. To move forward he must first go back, into a world where hi childhood was stolen from him. I AM OMAR is a horrific tale of sexual discrimination; blackmail and prejudice is part of the torrid fabric. It reveals how the police use Article 377 (law under Indian Penal code which criminalizes homosexuality) to harass and blackmail gay men. In the current climate of media sensationalism, perhaps this story gains even more poignancy. And having seen the film, we definitely recco this one. Our favourites – Afia and Megha. You don’t need a Lamhaa to know the Kashmir story, you can do it in a much simpler and better way, and without all the dhoom-dhaam-dhadaap. Megha proves that. Afia is a story about unique friendship between two strangers. Nandita Das and Purab Kohli bring such a natural charm to it, and bet you never knew that Anurag Basu can act too. Do watch. Click here to know more about the film. Manisha Koirala marries Samrat Dahal(pics)! And what a coincidence! Finally! After juggling boyfriends right, left and centre & how, (some we have witnessed too and thats for another day), Manisha Koirala (41) tied the knot with Samrat Dahal. And its back to her roots! 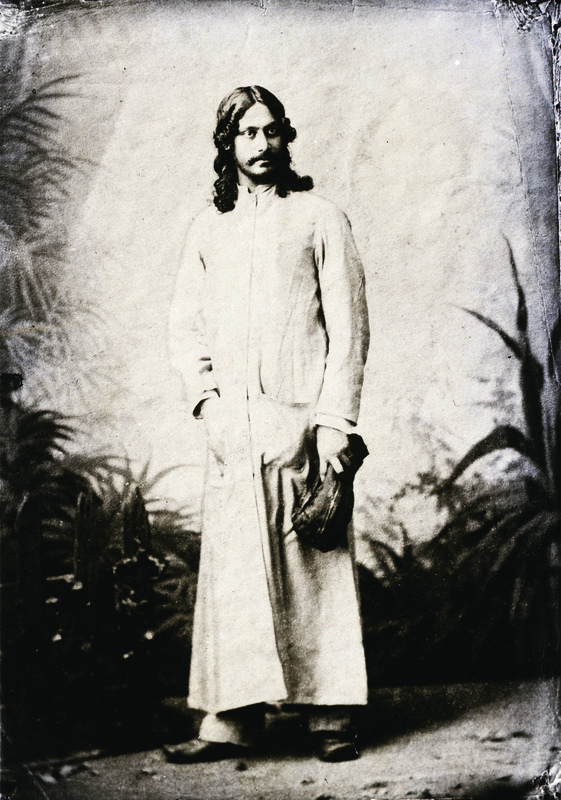 Samrat (34) is also from Nepal. But who is this Samrat ? Click here to read more about him and his family. Check out the pics in the slide show. Wishing her all the best! Love is not about finding someone who will make you feel complete….but having someone with whom you can share your incompleteness….Thats Do Paise ki Dhoop, Chaar Aane Ki Baarish, Deepti Naval’s directorial debut. The film has Rajit Kapoor and Deepti’s best friend Manisha Koirala in lead roles and it deals with the bonding between two unlikely and unusual person. The buzz is that Rajit potrays a gay character in the film. Deepti is busy promoting her film at the ongoing Cannes Film Festival. Though not much is known about the film but here is a sneak peek…two new pics of the film. With such a Gulzar-ish title and Deepti at director’s chair, we are looking forward to it. This is the first still from Deepti Naval’s directorial debut – Do Paise ki Dhoop, Chaar Aane ki baarish. Wow, what a name! Sounds straight from Gulzaarsaab’s diary. And Deepti making her debut with this…we are waiting. The film has Rajit Kapoor and Deepti’s best friend Manisha Koirala in lead roles. The film deals with the bonding between two unlikely and unusual person. And the dope is that Rajit kapoor plays a gay character in the film. Deepti is going to promote her film at the Cannes film festival. Manisha will also be there to lend her support.